← Liffey Cycle Route – Option 7 now on the cards! Dublin Central Housing Update, Dublin City Council. As the Fine Gael Leader on Dublin City Council, I and my party colleagues have been challenging the ‘perceived wisdom’ that the Government has failed to provide sufficient money to allow Dublin City Council build much needed housing. The Council’s Chief Executive in response to Fine Gael questioning confirmed that there is no issue with funding for Dublin City Council. 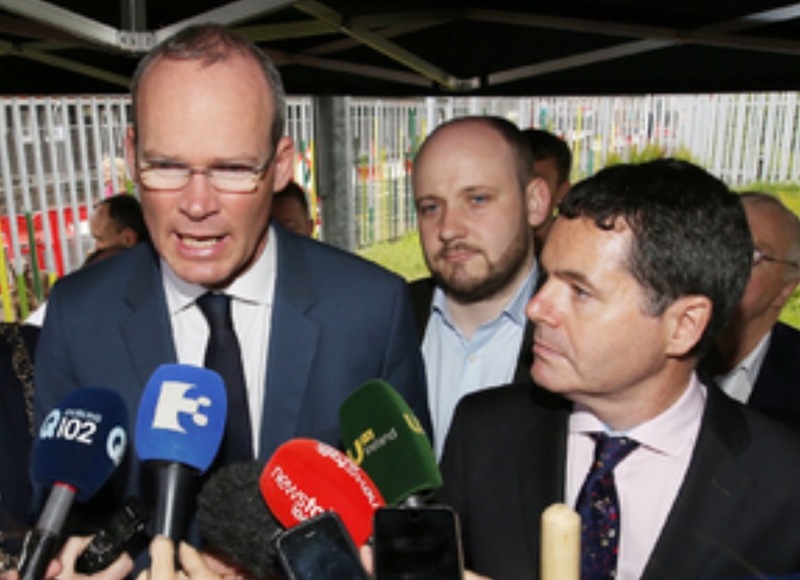 No proposal for housing has been delayed by Minister Simon Coveney’s Department and funding has been made available for projects like Dominick Street regeneration, Dolphin’s Barn regeneration, St. Agatha’s Court redevelopment and the former Council lands next to the Church of the Most Precious Blood in Cabra, to name just a few. In order to keep North Inner City residents and communities across Dublin Central updated of housing projects, I have provided details below of all the current housing developments being advanced by Dublin City Council or voluntary housing bodies like Cluid Housing, Circle Housing, etc. Broom Lodge, (Dunmanus Road), Cabra, Dublin 7. – Glasgiven contractors have been on site since March 7th last. – Construction of 43 senior citizens accommodation expected to be completed by June 2017. St. Agatha’s Court, North William Street, Dublin 1. – Contractor on site since Government approved €1.17m in funding . – Construction of 11 units expected to be completed by March 2017. – 10 units to be leased in 2017, following Government approval. Part V under Planning & Development Acts, 2000 – 2015. – 26 units to be acquired and Dublin City Council to finalise legal agreement with the Receiver. – Expected to be completed by March 2017. – Expected to be completed by December 2017. – Cluid Housing seeking to provide 4 units. – Design team to be appointed as next step. – Oakley Housing secured planning permission on September 28th last for 29 residential units. – Detailed design stage required before tender stage is advanced. – Expected to be completed by 2018. North King Street, Dublin 7. – Planning permission for 30 units granted. – Tenders to be sought shortly by Dublin City Council. – Expected to be completed by September 2018. – €6m approved by Government in May 2015. – Design team in place. – Expected to be completed by June 2019. – €22m approved by Government in June 2016. – Revised planning permission for 73 units before Dublin City Council. – Expected to be completed by December 2019. – Approval provided to start planning process for 35 units. – Planning to come before the Council shortly. – Expected to be completed by 2019. – Initial approval to Tuath Housing for 22 units. – Funding approval sought in early 2017. – Expected to be completed in 2018. St. Mary’s Mansions, Dublin 1. – Planning permission granted for 80 units in Autumn 2016. – Tender documents to be issued by Cluid Housing shortly. – Circle Housing to seek planning permission for 34 units. – Co-operative Housing Ireland has sought planning permission. Decision expected by March 2017. – Proposal to redevelop the site on a 50% private housing, 30% social housing and 20% affordable housing ratio to be fleshed out at December 9th Council meeting. Image | This entry was posted in Arbour Hill, Ballybough, Church Street, City Centre, Dublin City Council, East Wall, Grangegorman, Montpelier, North Circular Road, North Strand, North Wall, Phibsborough, Quays, Smithfield, Stoneybatter. Bookmark the permalink.